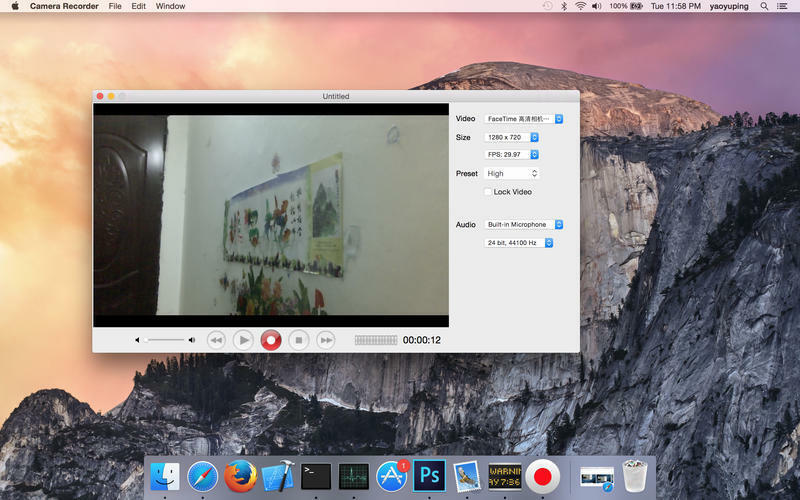 Easily record and edit videos. Is there a better alternative to Camera Recorder? Is Camera Recorder really the best app in Video category? 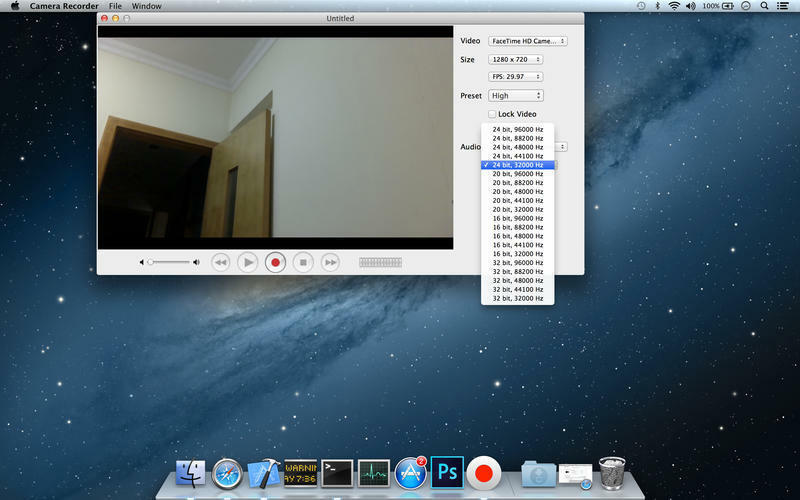 Will Camera Recorder work good on macOS 10.13.4? 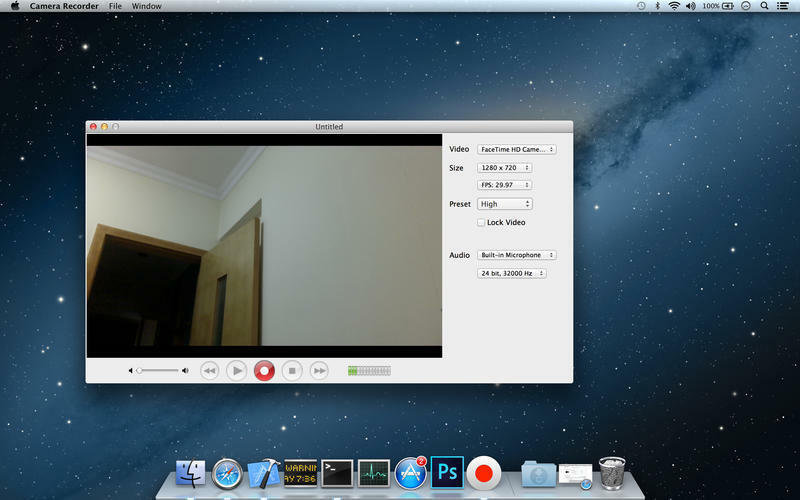 Camera Recorder is a camera record app. It can record video by camera, and record audio by microphone. 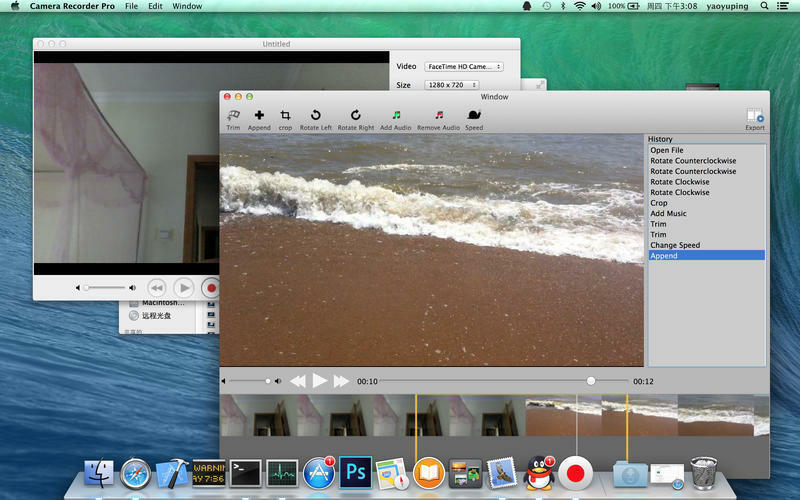 It helps you to edit the video after recorded. You can select frame rate 30, 25, 15, etc. You can select the video size 1280x720, 1024x576, 960x540, 640x480, etc. Camera Recorder needs a review. Be the first to review this app and get the discussion started! Camera Recorder needs a rating. Be the first to rate this app and get the discussion started! You can select the sampling rate "24 bit, 44100 Hz", "32 bit, 44100 Hz","24 bit, 96000 Hz", "24 bit, 96000 Hz", "16 bit, 96000 Hz", etc.